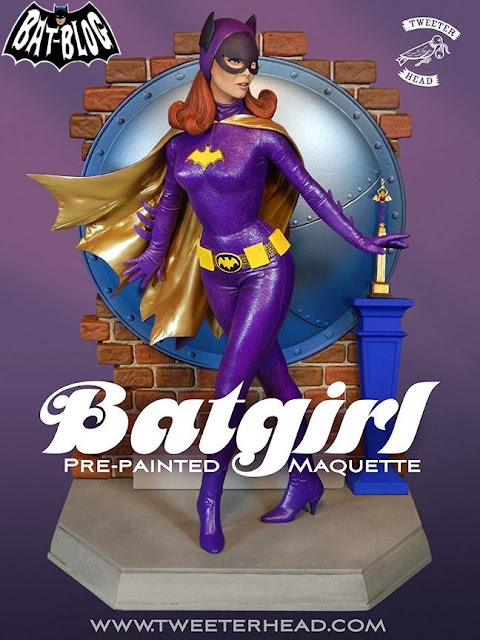 BAT - BLOG : BATMAN TOYS and COLLECTIBLES: First Look at the New 1966 #BATMAN TV Series #BATGIRL Statue Maquette by #TweeterHead! 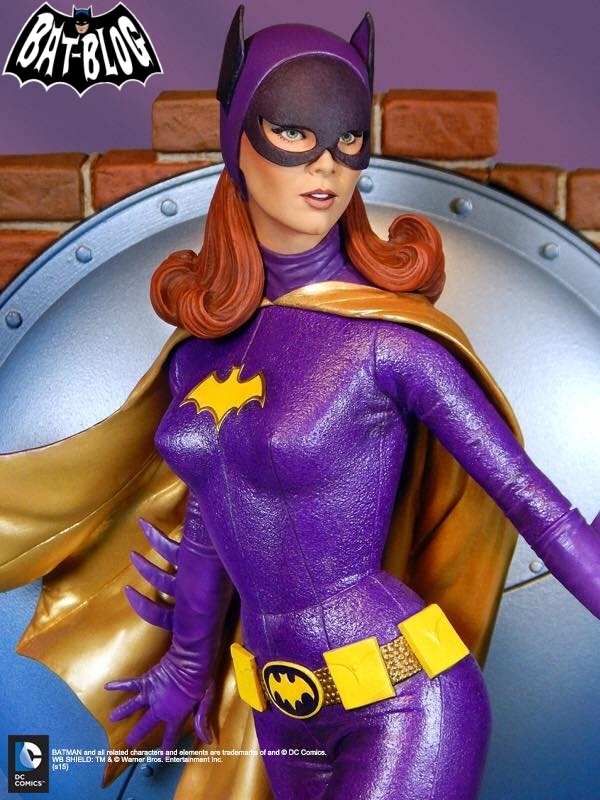 First Look at the New 1966 #BATMAN TV Series #BATGIRL Statue Maquette by #TweeterHead! A Quote from Yvonne Craig! "This is probably one of the most stunning pieces of artwork I have seen in a long time, and the attention to detail is absolutely outstanding". 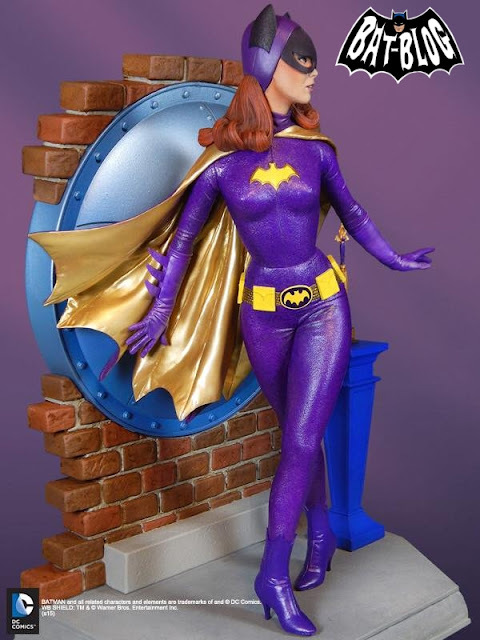 Yvonne Craig/Batgirl"
This new BATGIRL Signature Series Maquette Statue (Yvonne Craig variation) is available for pre-order right now and it's totally torturing me that I'm wayyy too broke to buy it, ha ha! It is 1/6th scale (13 inches tall on her base) and was sculpted by Trevor Grove. It's made by the Tweeterhead company and they are offering two versions. Version #1 includes The Batgirl Maquette with the Batty Award and lithograph of the 1960's concept art of Batgirl's secret door. Version #1 will retail for $249.99. Version #2 includes everything above and a certificate signed by Batgirl herself, Yvonne Craig. Version #2 will retail for $279.99. 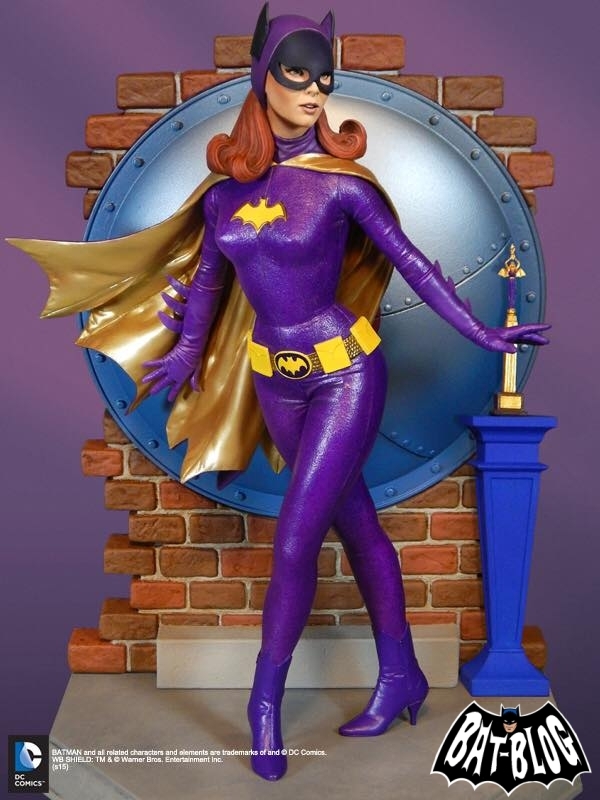 Batgirl's Batty Award (from the episode "Catwoman's Dressed to Kill") and lithograph are only available as a tweeterhead exclusive. Like the rest of their 1966 Batman TV Series Maquette line, this will be a numbered limited edition. For more information just CLICK HERE!